The MRT Stainless Steel "MaxFlow" H-pipe available for 99-04 Mustangs from Mustang Racing Technologies, the only Mustang performance h-pipe exhaust system on the aftermarket with that deep exhaust sound we love! 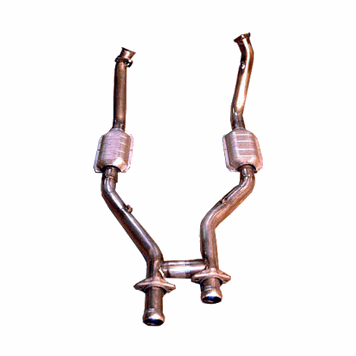 The 99-04 Mustang H-Pipe is available with cats or without cats (for off-road use only). Fits all 99-04 Mustang GT's. 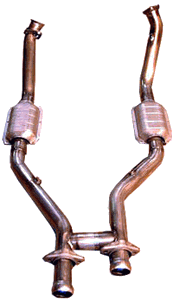 All MRT Mustang performance h-pipe systems are built from high grade stainless steel using a computerized CNC bender for precision fitment and stainless rod welds for guaranteed years of worry-free performance. All necessary hardware is provided, plus a new OEM Manifold flange gasket.